One of the most important parts of any good Software Asset Management (SAM) process is ensuring compliance to software license agreements in case of an audit. This can be accomplished using cultivated data to make sure your company is compliant to all the various restrictions software vendors might have, depending on the type of license and agreement. If you can prevent violations of the agreement by monitoring your company’s license use, then you will save your organization the excessive cost of a vendor audit. What are the Big 3 software vendors looking for in an audit? The top 3 software vendors that you will likely purchase from are Microsoft, Oracle, and Adobe. Here are some things that these big-name software vendors look for when they audit an organizations licenses. Another big name in the software licensing is Oracle. Here are some things that we’ve found helpful to know ahead of time in the event that Oracle sends you the dreaded audit letter. Adobe is known for its machine-like auditing process, targeting a higher proportion of customers than vendors with comparable revenue. Here are the things to keep in mind in regard to an audit from Adobe. You will have 7 days’ notice. This is a much shorter window of time to prepare and get things in order than the industry norm of 30 days. They provide no reassurance that the audit won’t impact your business’ normal activity. Whether you’re about to launch a new product or engage in a big marketing push, Adobe will not take this into account. Adobe won’t provide any assistance in providing entitlement records. You’ll need to have a dedicated SAM manager to prepare for the audit. Without him or her, it will be nearly impossible to fulfill all of Adobe’s requirements. The best way to be ready is to be proactive. Keep a careful record of where all licenses are being used and re-evaluate how many need to be purchased from each vendor. You may even find that you save money if you uncover resources that are being underutilized and can be harvested for use elsewhere. To ensure that data on your company’s software assets is accurate and demonstrates license compliance, you should consider investing in one or more automated SAM tools that will track, monitor, and report at a greater rate of accuracy than a person. And, on that note don’t use spreadsheets. Your company needs to use an automated software solution as an alternative to spreadsheets to manage your assets. Spreadsheets are cumbersome, difficult to maintain and human errors are common. 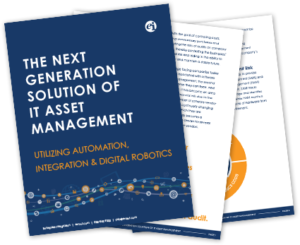 There are simply too many aspects of IT Asset Management that need to be accounted for, from the lifecycles of hardware to software license recycling or even mobile device management. Using spreadsheets adds up to a lot of wasted time when investing and utilizing an automated software solution could do the same job much faster. Spreadsheet data is often in accurate, contains multiple error and is not the best way to track asset information. Putting the huge bulks of data that need to be tracked onto spreadsheets is not only messy but also greatly increases the likelihood of error as it’s difficult to keep track of everything using the spreadsheet format. Excel neglects to point out these human errors in data. Should anything happen to your computer such as a hardware failure or malware attack, you could lose your spreadsheets and all your hard work along with them. As fast-paced as today’s technology world moves, ITAM leaders need to have instantaneous and precise data. To save time and improve contractual compliance efforts, close down those ITAM spreadsheets!! It’s time to make sure your company is prepared for an audit. Then, if or when the moment does come, you’ll be able to rest easy knowing you’ve followed the right procedures to ensure compliance.